In case you wondered, I'm expecting another baby and may disappear into 'Mum Bubble' any minute. 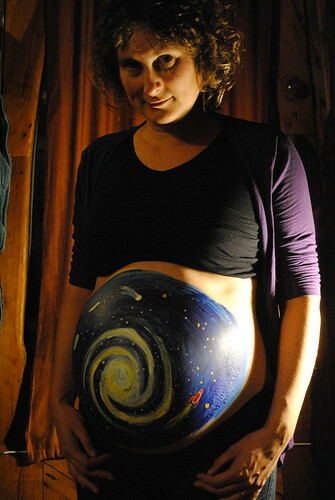 In the meantime, we revived our tradition of painting the bump - Feets got the world, Bean gets the Universe! Thanks, or course, to Mr Liam during a glorious, relaxing and inspiring weekend on Houseboat Dodge!